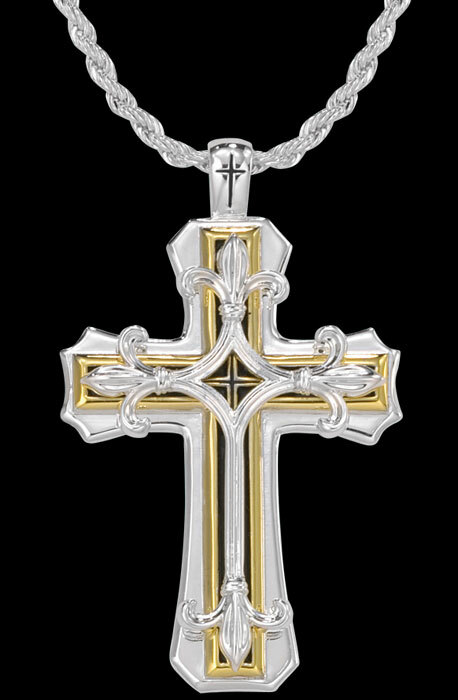 Fleur de Lis Cross by Montana Silversmiths. * Pendant = 2 3/8" x 1 3/8". * Tarnish-free Montana Armor® silver and gold electroplate. * Horseshoe Cross Necklace usually ships 1 - 14 days. * Made in Montana, U.S.A by American craftspeople.